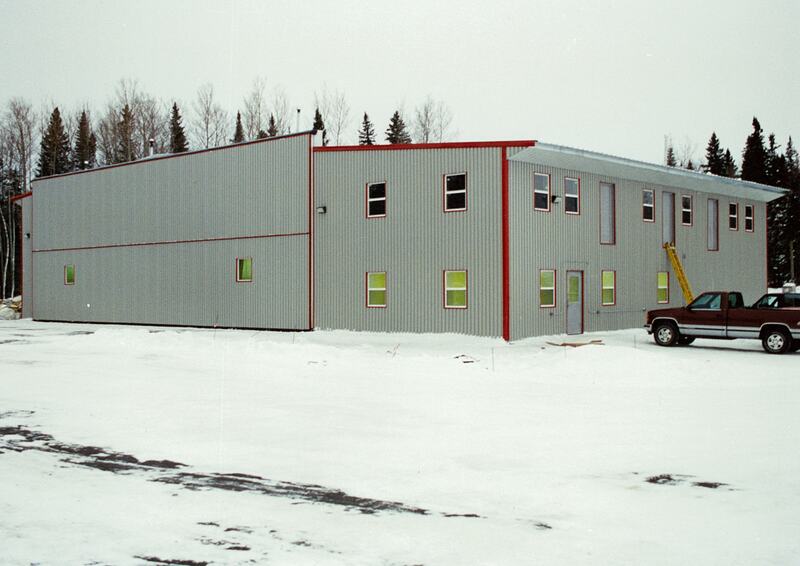 A 70’ long, 4 ton monorail complete with truck and chain hoist down the middle of the building gives the necessary hoisting capacity for those heavy maintenance jobs. 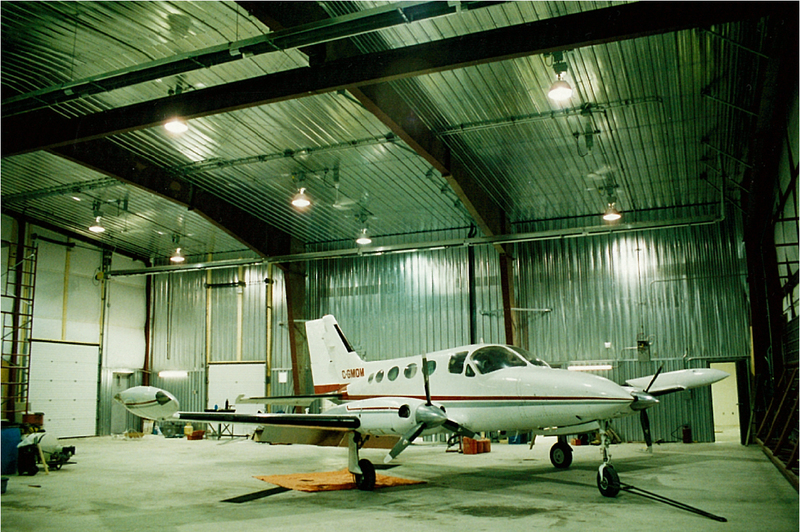 A 70’ x 24’ bifold door which opens clear to 70’ wide x 20’ high, fills one entire wall of the hangar. 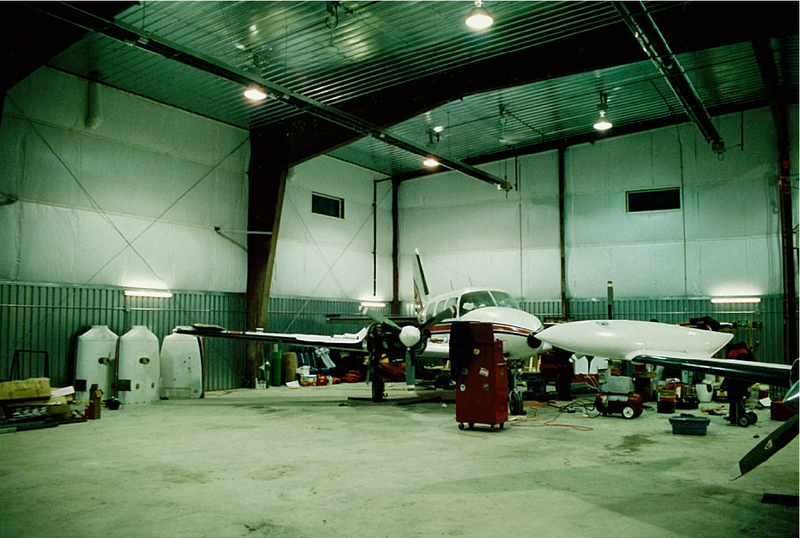 22 ga. liner panel to 7’-6” height in the hangar area protects insulation from damage while the partition wall is full height liner as per regulations. 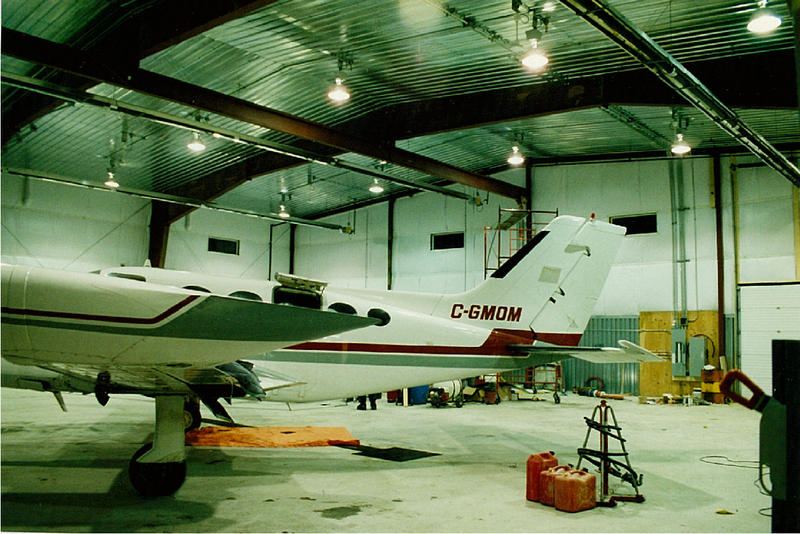 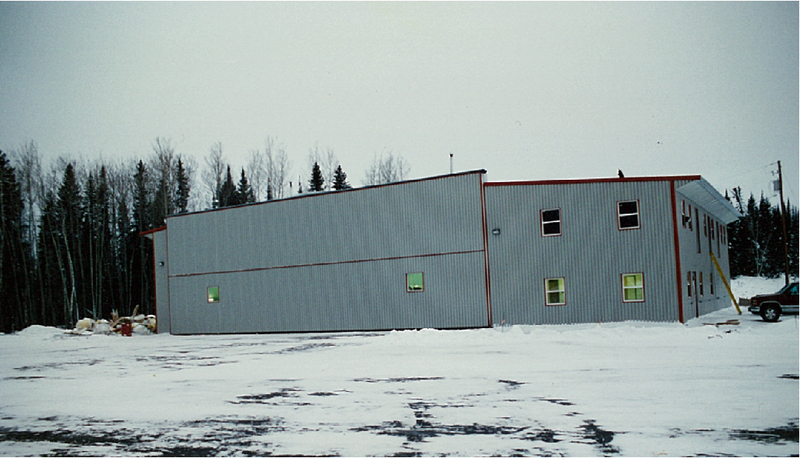 The exterior of this hangar is stone grey cladding set off by red trim.